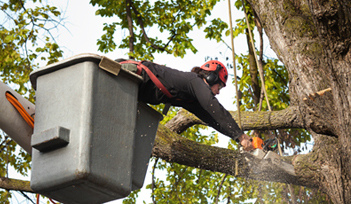 Tree Removal Services Michigan - Highland, Waterford | The Tree Corp.
We have the experience and equipment to get it done FAST! The Tree Corp. is a locally owned and operated tree service company providing Highland, Milford, Waterford, Commerce, and the surrounding areas with commercial and residential lot clearing, tree removal, stump grinding, and more. Trimming or removing branches that hang over your roof can lower your insurance costs and save you from disaster later. Call us today to get your free tree assessment and estimate. The Tree Corp. is fully insured for your protection, and we always go the extra mile to meet all of your tree care needs. Our commitment to our customers means that we will completely clean up our job site before wish done, leaving your house pristine!